With Donald Trump still polling high, fellow Republican candidates work to differentiate themselves by rolling out their policy platforms. Marco Rubio and Scott Walker would repeal Obamacare, Jeb Bush wants to improve education and veterans affairs, while Trump would end birthright citizenship to illegal immigrants. Who’s been the hurt the most by what Politico’s Josh Gerstein calls Trump’s "defiance of political gravity"? Molly Ball of The Atlantic, Ed O’Keefe of The Washington Post, and Reid Wilson of Morning Consult weigh in. Meanwhile, Clinton continues to field questions on the FBI investigation over her personal email server despite her insistence that no classified information was sent during her tenure as secretary of state. Gerstein reports on the email controversy that continues to weigh on Clinton's campaign. 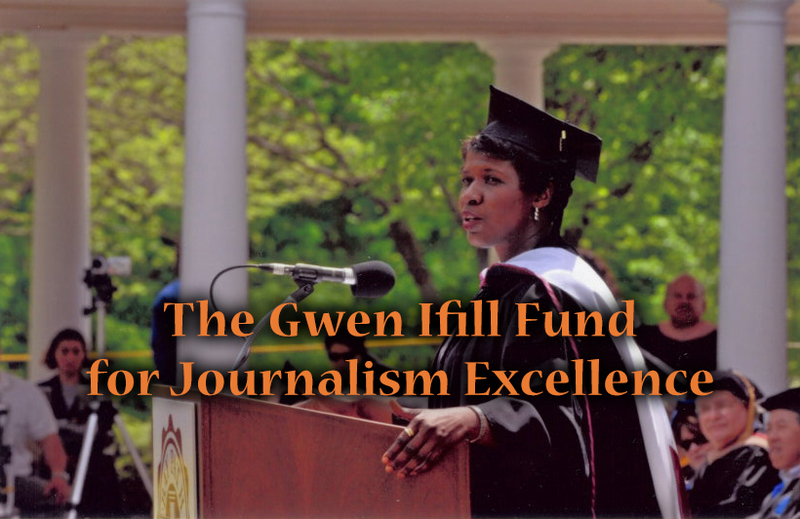 GWEN IFILL: Trumping Trump and getting out from under the nagging questions about Clinton emails. Is either thing even possible? We explore tonight on Washington Week. DONALD TRUMP: (From video.) I don’t see how he’s electable. MS. IFILL: Bush fires back. FORMER FLORIDA GOVERNOR JEB BUSH (R): (From video.) This is not about the big personality in the room. This is about how do you fix problems that are broken. MS. IFILL: But the personality in the room is undeniably big. MR. TRUMP: (From video.) That is so nice. (Cheers, applause.) Thank you. MS. IFILL: And other candidates are struggling to stand out on foreign policy. CARLY FIORINA: (From video.) I know more world leaders on the stage today than anyone else running, with the possible exception of Hillary Clinton—only I didn’t do photo-ops. MS. IFILL: On health care. WISCONSIN GOVERNOR SCOTT WALKER (R): (From video.) On my very first day as president of the United States I will send legislation to the Congress to once and for all repeal Obamacare entirely. MS. IFILL: And on immigration. OHIO GOVERNOR JOHN KASICH (R): (From video.) We have to finish the wall and then make it clear if anybody comes over that wall, yeah, they got to go back. MS. IFILL: On the Democratic side, Hillary Clinton has more to worry about than Donald Trump. MS. IFILL: A joke that fell flat as the FBI continues to investigate whatever happened to her State Department emails. FORMER MARYLAND GOVERNOR MARTIN O’MALLEY (D): (From video.) I think that it’s a huge distraction from what we should be talking about as a party. MS. IFILL: State fairs, rallies, punches and counterpunches. It’s August, and the campaign is in full swing. Joining the roundtable tonight, Molly Ball, national political correspondent for The Atlantic; Josh Gerstein, senior White House correspondent for POLITICO; Ed O’Keefe, congressional correspondent for The Washington Post; and Reid Wilson, chief political correspondent for Morning Consult. ANNOUNCER: Award winning reporting and analysis. Covering history as it happens. Live from our nation's capital, this is Washington Week with Gwen Ifill. Once again, live from Washington, moderator Gwen Ifill. MS. IFILL: Good evening. Donald Trump continued to cast a long shadow over the 2016 presidential campaign this week, attracting crowds from New Hampshire to Alabama, and creating a sensation at the Iowa State Fair, where he descended in a helicopter. We’ll admit it: it’s been fun to watch. But amid the spectacle, we also began to see the glimmer of a policy debate. Trump lit that fire Sunday when he proposed deporting 11 million people who are in the U.S. illegally, ending the practice of allowing immigrants to send money home, and ending birthright citizenship. MR. TRUMP: (From video.) A woman is going to have a baby. They wait on the border. Just before the baby, they come over to the border. They have the baby in the United States. We now take care of that baby – Social Security, Medicare, education. Give me a break. Many people – many of the great scholars say that anchor babies are not covered. We’re going to find out. MS. IFILL: Roughly half of the other Republican candidates agreed with him on most or all of it. Some, like Scott Walker, said they didn’t want to talk about it. John Kasich told me it’s just not practical. GOV. KASICH: (From video.) Well, what do you think we’re going to do, go chasing them down and, you know, put these big lights on top of cars and, you know, go into neighborhoods hunting them down? I mean, that’s not – that’s not – that’s not what America is. MS. IFILL: Others, like Jeb Bush, took Trump on. MR. BUSH: (From video.) It is a constitutionally protected right, and I don’t support revoking it. But to suggest that people born in this country are not United States citizens and they don’t have this in the Constitution I just reject out of hand. MS. IFILL: Trump says only the media is worried about policy, and he may be right for now. But what we know for sure is that Trump has managed to do what none of the other 16 Republicans in the race has: he has captured the imagination of the summertime voter. So who has been hurt the most by that rise, Molly? MOLLY BALL: It seems like they all have. I mean, Jeb was the frontrunner before Trump came along and stole his thunder. It was just about a month ago today. I was looking at the charts – the polling averages, that Trump rose above Jeb in the polling, and we have seen Jeb really tumble. He didn’t stand out much in that first debate. Scott Walker, who was the Iowa frontrunner, he’s also lost a lot of steam. Marco Rubio, who as thought to be in that top tier, he has tumbled a lot in the polling. And there’s a real question, I think, on a lot of these campaign’s mind: is this a temporary effect? Is it going to fade? Are people going to get tired of Trump and sort of sanity and order will be restored in a few weeks somehow? Or is this the new normal, the new face of things? MS. IFILL: Ed, you’ve been on the road a lot, if I dare say, with Jeb Bush for the last couple of months. And I wonder, this week in particular, he went from saying I don’t really need to talk about Trump to – (makes sound) – Trump, actually going after him. What changed? ED O’KEEFE: I think they’re hearing from donors and supporters who say, come on already. You’re in a solid second place in New Hampshire, you’re in a solid second or third place nationally, but you’re slipping. You have the resources. You have the name recognition. You have the ability to do this. Go out and do it. So he wouldn’t do it Monday and Tuesday in South Carolina, but by golly, by the time he got to New Hampshire the gloves came off. And it makes sense to do it in New Hampshire. That’s a state Bush needs to win desperately. It’s a state he can win. And you know, we heard this week that he’ll be getting reinforcements from the super PAC that’s aligned with him, Right to Rise, which plans to spend $10 million in advertising in New Hampshire, Iowa, South Carolina. That’ll start to help. MS. IFILL: They started spending some of that money tonight in Alabama, where Trump is having a big arena – actually, not arena; stadium rally. He lands in his big plane. Right to Rise rents a helicopter to buzz the stadium. MR. O’KEEFE: Right. So you know, the reinforcements are finally coming, and I can tell you that folks in Miami at headquarters are thrilled to see that because, you know, they sit on the largest political war chest in American politics right now – except, of course, for the Donald Trump bank account. MS. IFILL: So, Josh, as we watch this – and we’ve all watched a lot of campaigns – how unusual – how different is it? For instance, tonight he’s in Alabama. That’s not exactly an early-voting primary state. JOSH GERSTEIN: Well, it’s different in some respects. I mean, it does have the feel of other rises that have taken place in previous cycles. I’m thinking of Herman Cain the last time around, people who have come from nowhere, suddenly popped up and gone away. There’s a sense that there’s some more energy here this time. Maybe it’s the unlimited bank account. Maybe it’s something about the sentiment of the voters this time around. It feels like Trump might be able to sustain this and that he might be able to defy the laws of political gravity. And I can’t tell you exactly why you get that feeling, but you do have a sense that this could go on for some time, maybe even close to some of the actual primary and caucus votes. MS. IFILL: Reid, the thing I’ve found most interesting about the polls is not who’s up and who’s down, but I keep saying, so, who are these folks who are supporting Donald Trump or any of these candidates at this stage, the dead of the summer a year before the election? REID WILSON: Yeah, I actually spent today culling through Morning Consult’s – the people who have responded to our polls and who have said that they will vote for Donald Trump. I called them up, the folks in Iowa and New Hampshire, and I asked, what do you see in him, why do you support him? And the same couple of issues kept coming up – first of all, immigration; second of all, the ability to turn around the economy – all couched in this language of he’ll say whatever needs to be said. There’s a sense that too many politicians are just paying lip service, that there’s no action behind their words, and that, by the way, there is a political correctness – that’s a phrase that keeps coming up among these voters – that’s holding them back. Donald Trump has none of – none of these sort of issues with staying – you know, keeping his foot out of his mouth. He’ll say whatever he wants to say. That’s really attractive to voters right now, at a time – you know, we’re a decade into hating Washington, hating Congress, the country off on the wrong track rather than heading in the right direction. He is the anti-politician. That’s what’s so attractive about him. They don’t care about his stands on health care, which is to the left of the rest of the Republican field, or any of these other – abortion, which was, at least the last time he thought about running, was to the left of the rest of the Republican field. They care that he’s not a politician. That’s really attractive to them. MS. IFILL: So if you’re one of the candidates running for office, you have a choice. You either take him on – and we saw Jeb Bush decide to do that, at least to some degree, this week – or you make nice. Listen to Marco Rubio for a moment to hear what he had to say this week. SENATOR MARCO RUBIO (R-FL): (From video.) Four times in the last five elections, the American people have voted for change, and the change doesn’t happen. So people are upset. They’re angry. And we have – we can use this anger to motivate us, but we cannot let this anger define us. MS. IFILL: Now, what he was trying to do was give a speech about taxes, which almost no one paid attention to. But what he was also trying to do is speak to what you’re – what Reid here has mentioned, which is that there is a lot of unhappiness out there. But he’s still trying to be optimistic. Is there even room for that in this kind of an election year? MS.BALL: – every single time, oh, well, this will – this will kill him. MS.BALL: But it doesn’t because the voters like, as Reid said, that he doesn’t respect any conventional boundaries and he’ll tell it like it is, as he sees it. But here’s the other thing I’m – let’s just talk about some of the granular stuff, because we did get a little policy out of him this week. On the birthright citizenship question, we saw Scott Walker, who used to be the leader in Iowa and no longer is, say, “aaah!” on one hand, on the other hand. Is that an example of a clear position that a candidate could take that people are now scared to take if it means opposing or offending Donald Trump? MR. O’KEEFE: It’s a two-pronged problem because, yes, you’ll offend Donald Trump and his supporters, and you set yourself up for problems in the general election, which is something that Scott Walker remains somewhat conscious of and has been trying to triangulate throughout this campaign in a way that sort of emphasizes his conservative bona fides but just enough to leave the door open to the idea of being a crossover artist as the nominee. The flipside is Bush, who sticks to his principle, which has been no, I don’t agree with that. And he has always had the attitude of you risk losing the primary in order to win the general election, and I think we saw a little bit of that this week. MR. GERSTEIN: Yeah, and wasn’t clear what he was talking about, whether he really meant what people pejoratively call anchor babies or this issue of birth tourism, people coming largely from China to have kids here but who come in legally into the country. MR. O’KEEFE: And it was – it was really odd to see Bush give any credence to that term. MS. IFILL: You were there. MS. IFILL: Married to a Mexican-American. MR. O’KEEFE: He’s married to a Mexican-American. His kids are Hispanic American. And he goes out and says, well, I guess it’s not offensive, because what else would you call it? And that is totally inconsistent with his – with his demeanor, and it shows you either Trump has gotten under his skin or he’s trying to at least nod at those people while maintaining that sort of we need to be more respectful about it attitude. MR. WILSON: I mean, here you see the competing priorities of the Republican Party that ended up sinking comprehensive immigration reform last time around, when it actually came up. It is in the party’s larger interest to pass some kind of immigration reform, get it off the table, and restart the conversation with Hispanic voters, among whom they’re performing terribly. Mitt Romney only got 27 percent of Hispanic voters. But in Congress and now on the presidential campaign trail, it is in the interest of the individual candidates or members themselves to be against immigration reform because they’re going to be attacked as providing amnesty and they face a primary challenge at home, in the case of a member of Congress, or they face the wrath of Donald Trump and the 20, 30 percent of voters on the Republican side who back him in a presidential primary. MS. IFILL: Well, so how nervous does this make mainstream Republicans? And how nervous does it make conservatives? I talked to an evangelical conservative in Iowa this week, Bob Vander Plaats, runs The Family Leader. And I said, do you think he’s with you on this? He says, oh, well, we’re willing to talk to Mr. Trump. And I said – and reach out. I said, for what? He seemed to think he was capable of converting Donald Trump to his way of thinking, but I’m not sure that’s possible. MS. IFILL: But he’s playing all possible angles. MR. O’KEEFE: Yeah, but remember this – if he hadn’t insulted John McCain at that event in Iowa a few weeks ago – he had insulted the Catholic faith by suggesting that sometimes he goes to church to eat the crackers and get the wine. MS. IFILL: But they didn’t care. It didn’t hurt. MR. O’KEEFE: And they don’t seem to care. And it makes no sense to me why that is at this point, other than the fact that they see 20 to 30 percent of Iowans and realize that that’s enough to win the caucus. MR. WILSON: Let’s be realistic here: Trump is good for business. He’s good for – he’s good for the business of somebody like Bob Vander Plaats, who, when Trump shows up at his event, you know, 15,000 people show up. He’s good for the media. Meet the Press had him on last week. They had the highest ratings that they’ve had in recent years. He’s good for business. MR. GERSTEIN: And it’s not that the comments don’t hurt. The comments energize his campaign. Every time he makes one of these outlandish comments and the media starts to call him out on it, it seems to add momentum because he’s willing, as Reid said, to break the mold and talk in a way that Washington politicians don’t know. MS. IFILL: But how nervous does it make Republicans? MS.BALL: But to answer your question, I’ve been to – I’ve been reporting a story about exactly this – it’ll go up on TheAtlantic.com in a couple of days – about the nervousness among the Republican establishment. And they are deeply nervous is the answer. They really feel like this is not just far off in the future this might damage the Republican brand if it continues. People are clearly watching now. People are going to remember the things now. And there’s been an aggressive effort by Democrats to say Trump is just saying the things that all the Republicans are thinking, and this shows that it’s a party of angry old white men and racism and resentment and prejudice. And it’s really making a lot of people nervous. Now, Trump gets mileage out of that. He can point to the Republican establishment and say, see, I make them nervous. I’m their worst enemy. And the grassroots sort of eats that up. But the truth is that the people who are political professionals and Beltway insiders – the despised Beltway insiders, like all of us – they really are worried that the damage is already being done to the party. MS. IFILL: Well, and if you’re Ted Cruz and you’re trying to get – appeal to the same group, you’re being out-shouted. Basically, you can’t get your message, that you’re the one who’s going to take down the insiders. It’s very interesting. But it’s not just only the Republicans wrestling with Donald Trump. The Democrats are having their own titan problems, as Hillary Clinton’s email troubles persist. MRS. CLINTON: (From video.) My personal emails are my personal business, right? So I – so we went through a painstaking process and turned over 55,000 pages of anything we thought could be work-related. Under the law, that decision is made by the official. I was the official. MS. IFILL: And that’s exactly what a federal judge, the FBI and the State Department are trying to sort out. Why doesn’t this story go away, Josh? MR. GERSTEIN: Well, it’s really like flypaper for Hillary Clinton at this point. There are so many investigations going on and there are so many court cases demanding access to her records. I think the count the State Department gave the other day was 39. So you’ve got 39 cases in front of maybe half a dozen different judges, all of whom are setting different deadlines and asking different questions. There’s about six investigations, if you look at the inspector generals of the State Department, the intelligence community, three different committees on the Hill – the Benghazi Committee, the Judiciary Committee and others. So there’s just so many developments that take place. On a given day there may be four or five things that happen that are significant about this email story. And the result of it is it’s very hard for the campaign to get ahead of it or away from it. MS. IFILL: And the campaign has tried three or four different approaches to getting away from it and getting ahead of it, the latest this afternoon putting out kind of a point-by-point video rebuttal on Twitter and – with the press secretary saying this is why what you’ve heard isn’t true. Have any of these pushbacks from Hillary herself or from the campaign – have any of them taken hold? MS. IFILL: And the joke she focused on last week. MR. GERSTEIN: – have not been terribly successful. I don’t think the joke went over that well, about wiping the server. And having her engage on the nitty gritty probably doesn’t seem like a great strategy because you really have the candidate being pulled down into the muck. I think we’re going to have to wait and see about the campaign’s pushback. I think a lot of it is Democratic insiders who are getting nervous, who are starting to talk to POLITICO, The Washington Post and other publications and say the campaign needs to be more proactive here. Now the campaign is doing something. Whether that something is going to help I don’t know, but I think they think it’s better than not doing much, which is the way they were trying to blow the story off previously. MS. IFILL: We talk about the nervousness among the Republicans. There are nervousness – tell me, how do you measure the nervousness among Democrats? MR. WILSON: But the president. MS. IFILL: Oh, I see. OK.
MR. WILSON: And the people who are not working for Hillary Clinton are – they’re nervous that this could sink the Democrats’ best opportunity to retake the Senate, to make progress in the House of Representatives, to claw back some of the states that have gone Republican over the last several years because of the opportunities, both of the sort of national political landscape and the great – the larger turnout of a presidential year. They don’t think that the Clinton campaign is taking this seriously enough. And I think we’ve seen from the Clinton campaign a lot that they are – they don’t see this as a big story. They can’t understand why it’s capturing so much attention. And I got to say, in the polling that we have done we’ve seen that more than 80 percent of Americans are paying a lot or some attention to this story, and 52 percent of the people who are paying a lot or some attention say that Hillary Clinton’s explanations are unsatisfactory. Only a third of voters say that the way she’s explained this is actually satisfactory. So this is – this is something that’s going to dog them for a long time. And Josh made a good point, it’s going to dog them for a long time because there are so many investigations that are going to be going on for months. MS. IFILL: Is this about the politics of her – is it the perception of her actions or inactions, or is it about the law? MR. GERSTEIN: Well, I mean, there are some legal concerns. Some Republicans have tried to raise it as like a criminal issue – she or others may have broken the law by sending classified information. Her team points out, if the issue is about her private server, you’re not supposed to send classified information on any unclassified system, whether it’s an official one or your own private network. So they say that there’s no real legal distinction related to her having the private server. On the other hand, we had a federal judge come out and say at one of the hearings that took place this week that he believes that she violated government policy, and that if an employee – meaning Secretary Clinton – hadn’t done that, we wouldn’t be in this mess that we’re in currently. And he’s talking more about the question of just preserving government records, and why do government records end up in private hands. Hillary Clinton said it’s up to the official to decide what’s private and what’s public, but normally that takes place while you’re in office, not 23 months after you leave office. MR. O’KEEFE: And plenty of Democrats remember that, you know, despite all the criticism the Obama administration had of the Bush administration, this administration has been much more aggressive about going after people like Bradley or Chelsea Manning, what’s his name at the NSA. MR. O’KEEFE: Snowden. The other guy at the NSA. MR. O’KEEFE: Thomas Drake. And that they have prosecuted more people who have done things like this than any other administration before, that by that policy she should be suffering the same consequences. It just creates that patina of she’s above us all. MS. IFILL: Oddly enough, Democrats aren’t doing it either. Why aren’t – why aren’t the – this could be an opening if you are Martin O’Malley, who’s doing it a little bit; if you are Bernie Sanders. He leans away from attacking Hillary Clinton. MS.BALL: It’s an interesting question. I mean, Bernie feels very much that this is just a campaign about ideas, and it’s not about personalities and it’s not about these little scandals. O’Malley has not shown a willingness to take the gloves off. And the other two candidates, nobody can remember their names. (Laughs.) But you know, the Democratic field is not very competitive. And someone said this week they reminded them sort of Mitt Romney and what he went through, that even though he was sort of running against the seven dwarves he had an oddly hard time getting through the darn thing even though he should have been the prohibitive frontrunner. And I think that’s kind of the syndrome that Clinton is exhibiting. MS. IFILL: I had a chance to talk to Bernie Sanders at the State Fair. I got a lot done at the State Fair this week. And I asked him, what happens to him next? He’s getting big crowds now. He’s got a lot of passion. But then what happens after Iowa and New Hampshire? MS. IFILL: (From video.) So you can see your path going out of New Hampshire to South Carolina. You think South Carolina’s winnable. SENATOR BERNIE SANDERS (I-VT): (From video.) South Carolina, Nevada and other states. Look, we got to – this ain’t going to be easy, and one of the disadvantages that we have – which we have accepted – you are looking at the only major campaign for president that does not have a super PAC funded by millionaires and billionaires. MS. IFILL: And everybody cheered sitting around us. But the truth is, it ain’t going to be easy. It’s not going to be easy for anybody, even if Hillary Clinton can’t get out from under this. MR. O’KEEFE: You know, I was at his rally in Los Angeles about 10 days ago and it dawned on me: this isn’t a rally, this is a fundraiser. All of these big stadium fundraisers – or sort of stadium events he’s been holding are his fundraisers because all he needs is for those people in the audience to give him 5, 10, 15 dollars and he builds a huge grassroot network of fundraisers that he can keep going back to. MS. IFILL: That he can keep adding to. MR. O’KEEFE: And he doesn’t want $2,700 from you, he wants $27 from you. MS. IFILL: Josh, briefly, a final thought about what the next shoe is to drop with Hillary and the emails? MR. GERSTEIN: Well, I think we’re going to continue to see documents come out. One of the problems is in these – one of these cases, a judge has ordered every month – one of the problems for the campaign, I should say, is every month we’re going to see more documents coming out, more discussion of what’s in the documents, and probably more of them being declared, whether retroactively or at the time, as classified information. And therefore this will just keep going on, at least until next year. MS.BALL: And she testifies in October, right? MS. IFILL: And she testifies in October, OK.
MR. GERSTEIN: Before the Benghazi Committee. MS. IFILL: OK. Well, thank you, everybody. We have to go, but as always the conversation will continue online. So much more to say on the Washington Week Webcast Extra, where among other things we’ll explain why this might be the most negative campaign in history, duh. That posts later tonight and all week long at PBS.org/WashingtonWeek. Keep up with developments with me and Judy Woodruff on the PBS NewsHour. And we’ll see you here next week on Washington Week. Good night. Will 2016 race be the most negative in history? With 22 candidates running for the White House, billions are set to be spent in advertising. 11 min 44 sec ago. 23 min 43 sec ago. 23 min 51 sec ago. 39 min 17 sec ago.